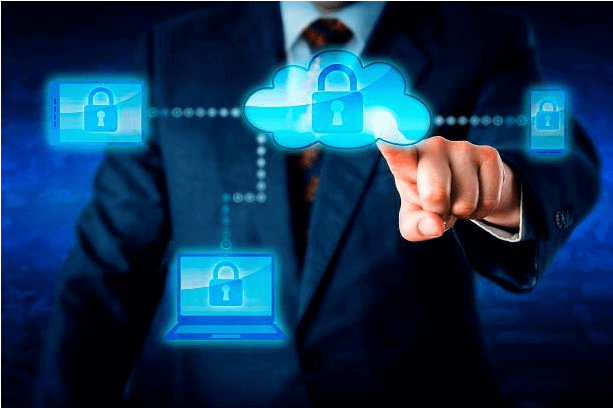 What is Security Monitoring in Cloud Computing? Security monitoring in cloud computing, or cloud monitoring is a software and process package. It reviews and monitors online computing resources for achieving an optimal workflow. 24*7 service availability and overall performance of the servers, websites, applications, etc., is ensured by manual / automated monitoring & management solutions. Evaluation of resource levels, program speed, resource availability, quick response time, etc., helps in predicting vulnerability attacks that can be caused in future. It is a complicated operation to simultaneously manage web networks and servers. Organizations need to determine the requirements of an automated solution to monitor their online resources. Cloud monitoring utilities are purposely programmed for keeping a track record of things like switch and router efficiency, processor/RAM performance, and hard drive usage. All these tools are available with complete excellence level and, free from vulnerabilities. However, there exist management products that are unable to fulfill the customer’s need. Next package of the tool comprises of ‘configuration management’, which is mainly for network administrators. This comprises of user controls like security protocols and group policies. This kind of applications works on the basis of preconfigured instructions. But, on the problem occurrence, these applications give response in a slow manner. Basically, problem must be first detected, policy should be adjusted, and then, modifications must be implemented. Delay in the response time of manual logging and reviewing could slow down the overall utility performance. It is possible to overcome several cloud computing challenges with help of a security monitoring in cloud computing. Cloud operations work as a software in an organized virtual environment. This is the reason due to which applications monitoring and management could be designed into the fabric environment with security. The above-mentioned points help in making things comfortable for employees while implementing a monitoring strategy. For example – A software developer may desire to learn features of cloud security monitoring in brief because he will try to design the new software with respective security aspects. Automate the Monitoring Process – Scripting is one of the essential features in security monitoring in cloud computing. Reporting and monitoring procedure can be scripted to enable system work in an automated manner. It is simple to implement monitoring software because operations carried away on the cloud are virtual. Also, it is possible to automate the logging and red-flag system for alerting purpose. For example – an automated machine can be scripted, which sends instant alert email to administrator on detection of unauthorized access. Consider Cloud-based Apps Security – Still in today’s date, there exist individuals who believe that their online content is less secure on cloud. They prefer using conventional IT infrastructure instead of cloud architecture. Such users need to wash out their minds with such kind of useless thoughts. They have to understand that either it is on-premises or off-premises storage, security is required on both the platforms. Off-premises architecture renders more features in comparison to on-premises if security is taken as serious concern. Trending data centers are investing their time and finance in top-tier data protection technology and personnel. Its just that online information security is a shared responsibility, which requires equal contribution of cloud service providers and clients. Adopting a cloud service in an organization doesn’t mean that you are free from the stress of organization content protection. Alike on-premises security, enterprises have to take care of information stored on cloud. Use CASB Solution In Your Workstation – Adopting a separate software for security monitoring in cloud computing is not enough. Nowadays, Cyberthreats are increasing like nothing and there is no prediction about the hacker’s next target. This means that each and every cloud service providers along with their clients have to protect online data. Ignoring the security aspect just by keeping monitoring on data is not a solution to the problem. Its better to achieve a CASB solution in the business, which renders package of cloud security solutions. At least, these software packages comprise of data monitoring system with device restriction, time restriction, and access restriction policies. Organizations are recommended to adopt CASB service provider and ensure business confidential information security at higher extent. Security monitoring in cloud computing is important to be achieved in today’s scenario. It will help people in determining that which employee is working with what type of business data at what time and from which location. Industries are suggested to take safety measures on time, before things goes unexpected and unmanageable for them.